The IAMHIST Blog is place for analysing media history in a discursive context, and offers scholars, archivists and practitioners working within these areas a space to disseminate their findings, knowledge and research. We welcome pieces for the IAMHIST Blog on a variety of topics, including, but not limited to, individual and/or collaborative research, conference reports, film festivals, research projects, etc., in the broad area of media history. The IAMHIST Blog also publishes a series entitled ‘A Day at the Archives…’, which aims to discuss different researchers’ experiences of using a variety of archives and/or museums from around the world, particularly those which may help to contribute to and inform our knowledge of media history. A new series, which is to be introduced this year, titled ‘Detectives in the Archive… Researching Primary Sources’, aims to offer advice and personal experiences on analysing/using different types of primary sources relating to media history, for example budgets, call sheets, correspondence, cost reports, daily progress reports, fan magazines, interviews/oral testimony, scripts, etc. 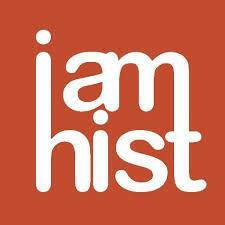 Please refer to the ‘IAMHIST Blog Guidelines’, which can be found here. N.B. Offering to write a piece for the ‘A Day at the Archives…’ series works on a first-come-first-serve basis. If the archive which you wish to write about has already been suggested by another person, then you will be offered the opportunity to write about another archive of your choice. The Research Centre in Film & Digital Media at Newcastle University, UK, will host an international conference, Revisiting Star Studies, on June 12-14, 2013. Keynote speakers: Dr Stephanie Dennison (University of Leeds), Dr Neepa Majumdar (University of Pittsburgh), Prof Yingjin Zhang (University of California-San Diego). Dr Martin Shingler (University of Sunderland), co-editor of the recently-launched BFI Film Stars series, will also host a panel on this new project. Since its inception in the pioneering works of Edgar Morin (Les Stars, 1957) and Richard Dyer (Stars, 1979), studies of film stardom have been strongly associated with Hollywood structures. There have also been numerous valuable contributions to our understanding of stardom in different national cinemas, including recent work by colleagues here at Newcastle. However in all these efforts to explore stardom in a national context, not only does Hollywood often remain the ultimate reference, but Hollywood-generated paradigms often dominate the discussion of non-Hollywood stardom. Many fundamental assumptions in star studies based mainly on Hollywood stars and stardom (such as stars as phenomena of production and consumption, the onscreen and off-screen construction of star personas, and the inter-transferability between stars’ economic power and cultural power) remain unchallenged. Please send proposals of 250 words maximum and a short bio to Prof Guy Austin & Dr Sabrina Yu at: guy.austin@ncl.ac.uk and Sabrina.yu@ncl.ac.uk by November 19, 2012. Dr Martin Shingler (University of Sunderland), co-editor of the BFI Film Stars series to be launched in July 2012, will also host a panel on this new project.